"It was all a dream", stemming from two UW-Madison graduates that grew up just outside the city of Chicago in the north shore suburb of Highland Park. After a lot of hard work and conviction, the dream to be self employed, and to get back into the food service industry became a reality in 2012. 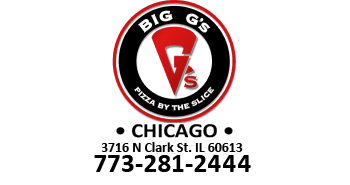 Cubs fans and pizza fanatics can now visit the fruit of our labor just across the street from the "friendly confines" more commonly known as Wrigley Field, the home of the Chicago Cubs and grab a delicious slice of pizza after a game, or a night out on the town.